Provide your Corpus Christi business with the backup power it needs with an emergency generator from SharpLine Home Services. 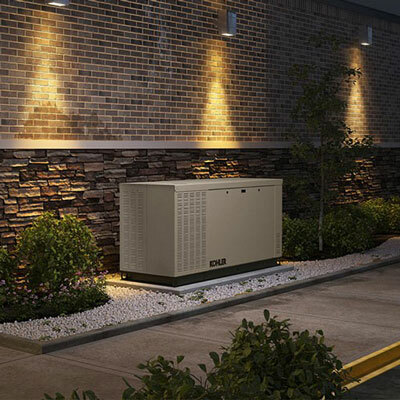 When you buy from us, you have access to the best in standby generators. We’re much more than just a backup generator dealer — we install and maintain them as well. Not having access to electricity when the power goes out can have serious consequences for your business, no matter how big or small. Security systems go down, refrigerated goods spoil, and customers are turned away, which can result in major problems including loss of revenue. 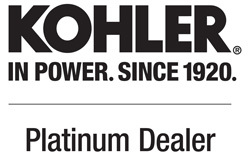 SharpLine Home Services provides businesses in Corpus Christi, San Antonio, the Hill Country, as well as cities in and around the South Texas area, with high-quality Kohler commercial generators. In fact, we’ve been doing so since 1991, meaning we bring more than just great service to the table. When we install or maintain your commercial generator, you can feel confident we know exactly what we’re doing. Our factory-trained, certified technicians and consultants will guide you through the entire process of selecting, purchasing, installing and maintaining a generator, giving you continual access to backup power. SharpLine Home Services can provide generators as small as 8.5 kW and as large as 3250kW. This means that we’ll always be able to find the perfect generator for your unique business. To learn more, contact us at 1-800-720-1457 to set up a consultation. We’ll walk you through your options and the services we can provide for your commercial facility. We also offer generator installation and maintenance for residential and industrial buildings.